Wanting to see the best of India and Sri Lanka? See more and travel further during your holiday with the help of a multistop flight from Webjet. What is a multistop flight? Multistop flights give you the flexibility to add several flights to different cities on the way to your final destination, opening up more experiences during your travels. Instead of spending hours at the airport waiting for your next flight, you can head into the heart of whichever city you’re touching down in for a day, a week or a longer stay, and discover what it is that makes it so unique. Helping you to make the most of your stopovers, a multistop flight is also a fantastic way to squeeze more into your itinerary and see more of our wonderful world. This option is available from leading airlines such as Qantas, with our handy multi-city search tool making it easier than ever to plan out your next holiday. Before you book your next break, why not join our savvy travellers and consider adding multiple stops to your plans? A region so incredibly rich with culture, history and natural beauty, India and its southern neighbour, Sri Lanka, are two countries that are sure to astound even the most seasoned of travellers. Vibrant, diverse and incredibly vast, both countries offer so much to see, do and discover, but, thanks to their size and the distance between their major cities, it can be difficult to see more than one region at a time. Instead of having to compromise on your holiday itinerary, opt for a multistop flight and make the most of the opportunity to see more of these two remarkable destinations. There are so many great itineraries that could be developed, varying the places you plan to stopover in, through to the length of time you spend exploring them, allowing you to completely customise your time abroad according to your interests and budget. Whatever your holiday style, it’s easy to surround yourself with the wonders of India and Sri Lanka. From bustling cities and breathtaking historic sites through to postcard perfect beaches, there are countless ways to experience what makes these unforgettable countries so unique. Although the reason for its construction is not completely clear, the World Heritage listed Qutub Minar, dating back to 1193, has become one of Delhi’s unmissable sites. Located around 40 minutes from the city centre, the impressive monument towers above the surrounding landscape, measuring in at just over 72 metres. Another of Delhi’s iconic historic sites, the Red Fort, constructed in the mid 17th century, offers a window into the city’s Mughal heritage. Incredibly grand in scale and perhaps best known for its striking red sandstone walls, the spectacular complex is found just moments from central Delhi. Offering some of the city’s best street shopping, Janpath Market in Connaught Place is home to a wide variety of boutiques and kiosks stocked with everything from local handicrafts and art through to jewellery, shoes and leatherwork pieces. A great spot for souvenir shopping, a great choice of items can be found throughout the market’s stalls. Said to have inspired the design of the Taj Mahal, Humayun’s Tomb, a 16th century garden-tomb, is a stunning example of Mughal architecture. Set within grounds covering more than 27 hectares, it’s easy to while away the hours as you explore the ornate buildings and expansive gardens that surround it. 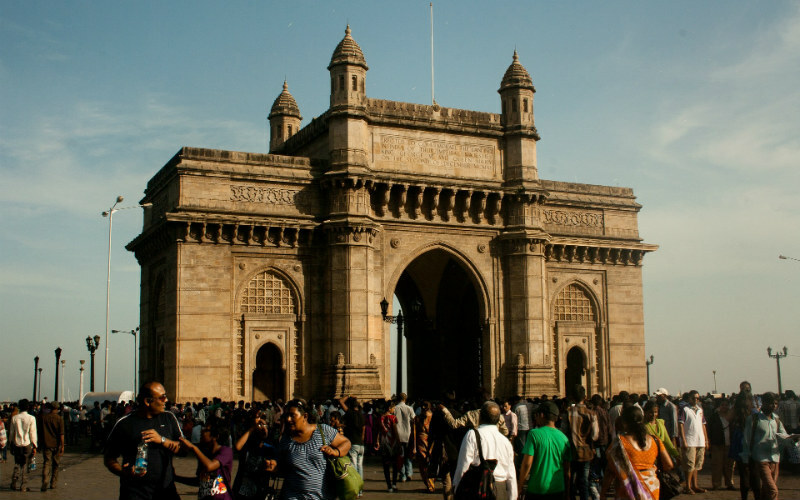 One of the city’s iconic landmarks, Mumbai’s Gateway of India was built in 1924 to commemorate a visit by King George V and to represent the grandeur of the region under British rule. Positioned within view of one of the city’s busiest ports, this grand structure is spectacular and one remains a top attraction to this day. Said to be one of India’s most visited beaches, Juhu Beach, located in Mumbai’s north, has become a popular coastal spot among locals, visitors and celebrities alike. Facing the Arabian Sea, the beach is a fantastic place to watch on as the sun dips below the horizon of an evening. The main museum in Mumbai, the Chhatrapati Shivaji Maharaj Vastu Sangrahalaya is the perfect place to head if you’re wanting to learn more about India’s heritage. Featuring a collection of around 50,000 artefacts relating to the country’s history and artistic evolution, its exhibits are both interesting and comprehensive. Thought to have been constructed during the 5th and 6th centuries, the hand-carved temples of Elephanta Island are an awe-inspiring sight to behold. Found just off the coast from Mumbai, the caves feature wonderful sculptures and an array of fascinating religious symbology. Gateway of India, Mumbai, India. The largest museum in Sri Lanka, the National Museum of Colombo explores the country’s ancient history and colonial heritage through a collection of more than 100,000 artefacts and artworks. Established over 140 years ago, the museum is a great place to learn more about the people and events that have shaped Sri Lanka. 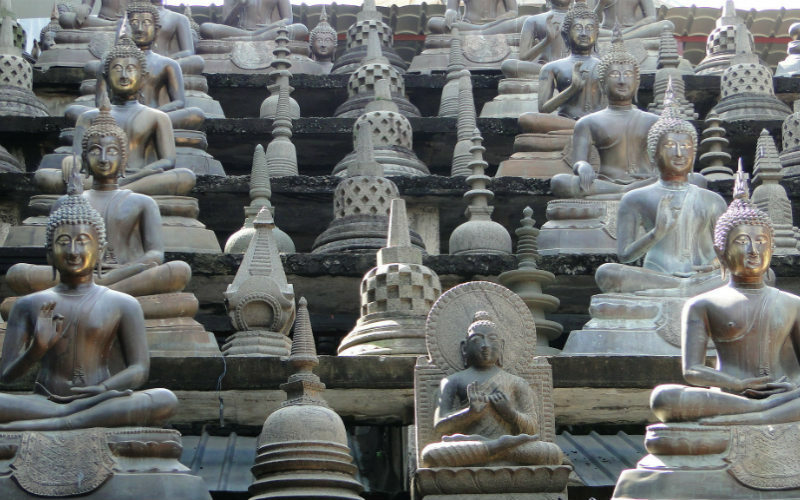 Drawing together a fascinating mix of Chinese, Thai, Indian and local architectural styles, Gangaramaya Temple is not only one of Colombo’s most visited temples, but is also home to a library, museum, relic chamber and art gallery. One of the city’s oldest Buddhist temples, Gangaramaya hosts a number of events and celebrations throughout the year, including the colourful Vesak festival. One of the oldest mosques in Colombo, Jami Ul-Alfar Mosque is without a doubt one of the city’s most striking landmarks. Decorated in a distinct pattern of red and white stripes, the building, which was completed in 1909, certainly stands out from its neighbours, gaining notoriety for its eccentric facade. Situated in the heart of the city, Colombo’s Beira Lake is perhaps best known for its great city views and scenic setting. Home to an array of colourful birdlife, a floating temple and the perfect setting for a waterside stroll, the lake is a great place to head if you’re wanting to enjoy a break from the city’s bustling streets. Gangaramaya Temple, Colombo, Sri Lanka. Image Credit: Ankur P / CC by 2.0. Choosing a multistop flight is a great way to get more from your holiday, but it can be hard to decide which additional destinations to visit along the way. If you’re thinking of travelling from Australia to India, why not enjoy a few days exploring a destination in Asia, such as Singapore, along the way? 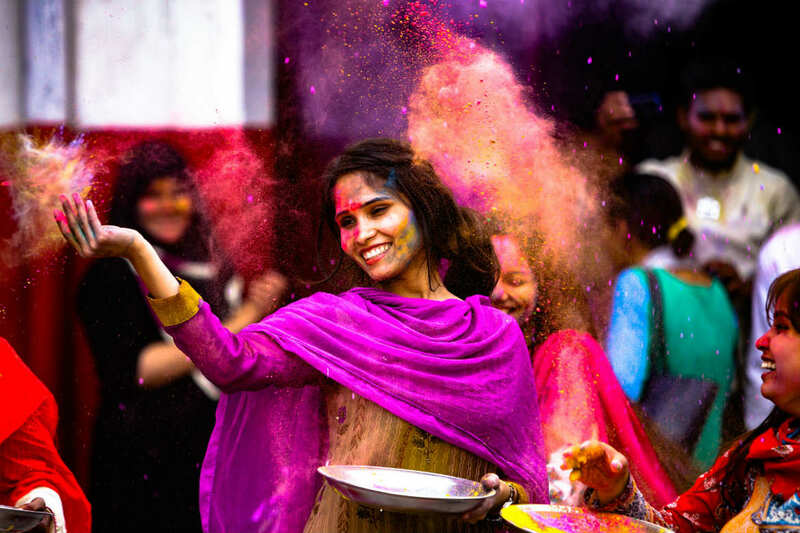 A fantastic way to break up your time in the air and embrace even more unique cultures during your travels, there are seemingly endless itinerary combinations for you to choose from. A compact city state located to the south of Malaysia, Singapore is a great place to explore if you only have a few days to spare. Measuring just 50 km from east to west, what it lacks in size, it certainly makes up in unmissable attractions. Whether you only have a day or two to explore or have the luxury of a longer stay, be sure to check out the mesmerising Supertree Grove at Gardens by the Bay, get a photo with the city’s iconic Merlion statue, and explore some of the diverse neighbourhoods, including Chinatown, Little India and the Arab Quarter, scattered throughout its streets. 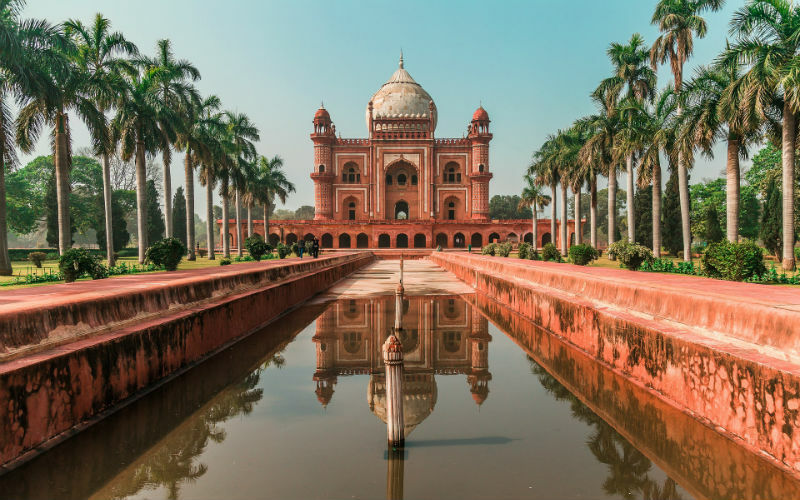 A true Indian gem, Delhi is not only home to the country’s capital, New Delhi, but also boasts an incredible assortment of sites rich with history and culture. There’s so much to see and do across Delhi, making it easy to fill a few days, a week or a longer stay with unforgettable experiences. Stop by the towering Qutub Minar, explore the grounds of the historic Red Fort or spend a few hours admiring the beauty of Humayun’s Tomb. Visit local markets, such as Janpath Market, to find great food, pick up a souvenir or two, and brush shoulders with the locals. After you’ve seen the sights of the Indian capital, there’s no need to backtrack to Singapore enroute to Australia. Instead of having another extended stopover, you can fly straight back to Sydney, stopping for just a few hours only if your chosen carrier does not offer direct services. Interested in discovering this wonderful part of the world? Book your India and Sri Lanka multistop adventure from Qantas with Webjet today!